Ambasada Krakowian Association is a perfect example of transition town initiative, creating space for Cracow citizens to meet, share ideas and skills, organizing permaculture workshops, helping city gardens to grow and flourish, offering courses of personal development & community building, giving place for coworking. Every Tuesday you may enjoy Open Breakfasts, regularly you can join yoga classes or come for swap party (clothes exchange). 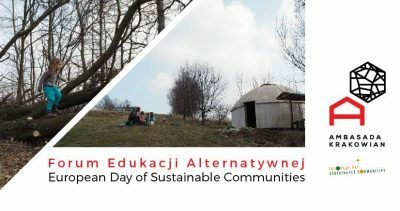 Soon after Alternative Education Forum begins Empathy Week full of workshops and meetings (3-8.10.2017). See you at the Embassy!